Dyckerhoff GmbH is one of the major cement manufacturers in Germany and is part of the Italian Buzzi Unicem Group. Dyckerhoff owes its successful position on the market in particular to its special products. Information on the corporate group in German and English at: www.dyckerhoff.com. Information on the special high performance cements in German and English, including download options for brochures, safety data sheets etc. at: www.dyckerhoff.de and www.dyckerhoff-bohrtechnik.de. Information about NANODUR® Compound 59041 from the Dyckerhoff GmbH are also offered on our english download area: Downloads. 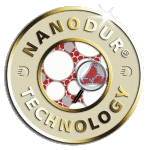 Durcrete, convinced of the unique binder concept of NANODUR®, has been focusing exclusively on this special binder since 2011. Both partners collaborate closely within the scope of a consultancy and sales representative agreement for the purpose of promoting the application and knowledge of binders for ultra high performance concretes UHPC. The company durcrete GmbH provides consultation for Dyckerhoff NANODUR® users in the design of recipes, material purchase, mixing technology, test methods, calculations, and the conception of production facilities. 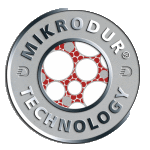 For the patent-protected MIKRODUR® technology, fine particles are selectively screened and classified in the single-digit μm range from different standard cements. These cement particles are then, in a highly complex process, composed into an ultrafine cement with a defined grading curve. With these special performance-based concretes designed for quickness, density, strength or durability can be manufactured. Dyckerhoff GmbH, in developing the NANODUR® Compound, has developed a premium binder that, apart from the ultrafine cement components from the MIKRODUR® technology, already contains pozzolans based on synthetic silicic acid for hydration control. Combined with quartz flour, the binder NANODUR® Compound 5941 is created. With it, UHPC can be produced with standard aggregates in conventional mixing plants. All ultrafine particles < 1 mm are thus, independent of the wet mixing process of the UHPC, intensively homogenized as powder in a high-performance mixer with cutter heads. In this manner, the aimed for dense packing is reliably realized in the dry mix. The binder is delivered in tank trucks and processed in the concrete plant in the same manner as cement.